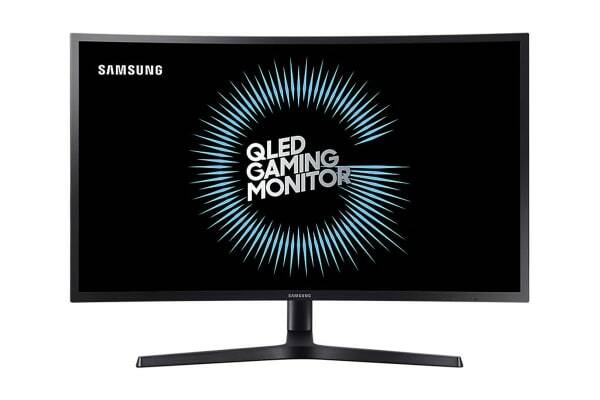 Add the ultimate visual experience to your gaming machine with the Samsung 32” HDR 2K QLED Curved Gaming Monitor, an innovative blend of HDR and Samsung’s new metal quantum dot technology. Samsung QLED delivers purer, brighter and more life-like colours – especially reds and greens – compared to many conventional monitors. And Samsung’s new Metal QD technology ensures long lasting, natural colours, whether you’re gaming or working in applications where colour accuracy is critical. The Samsung QLED gaming monitor is the first of its kind coming with HDR support that delivers a great range of luminance levels. It renders dark areas darker and bright areas brighter in such ways that images can appear in as much detail as the game developers intended. 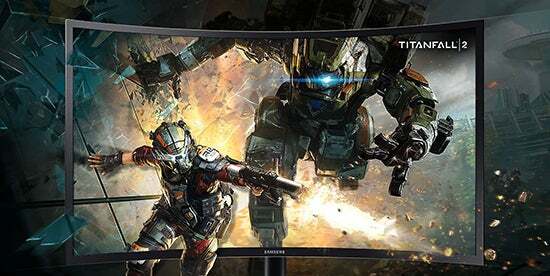 With a pixel density up to 1.7 times higher than Full HD, the Samsung gaming monitor delivers game scenes and characters in captivating detail, giving you a panoramic view of the whole battlefield so you can spot your enemy sneaking up on you from any corner. 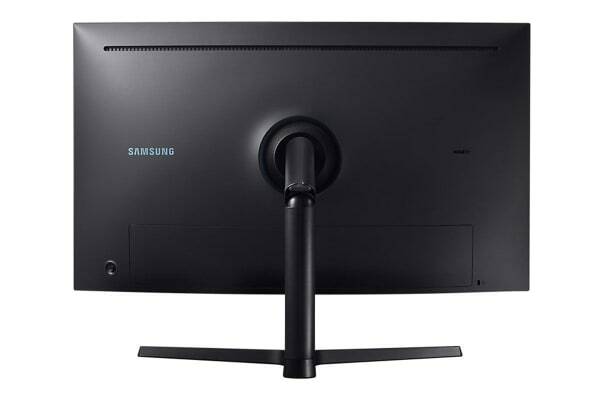 The Samsung gaming monitor’s Arena Lighting projects a pulsating lightshow on to a wall behind the monitor, adding extra atmosphere to your gameplay. 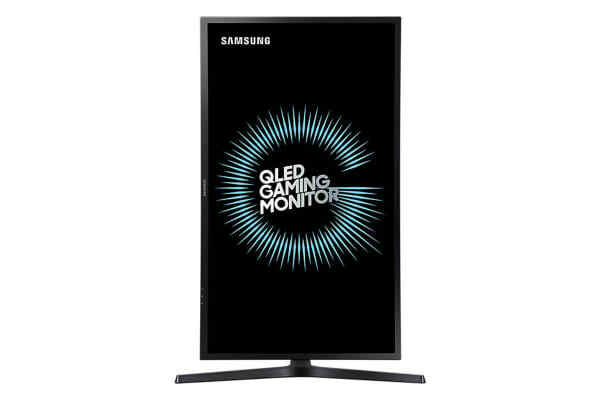 The Samsung QLED gaming monitor’s factory-calibrated game display modes optimise black gamma levels, contrast ratios, sharpness and colour value settings for any game genre, be it FPS, RTS, RPG or AOS. The Samsung gaming monitor features an eye-saver mode which is designed to cut down blue light emissions to a substantial extent. 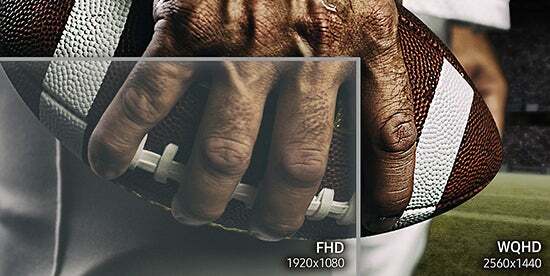 And the Samsung’s Flicker Free technology is designed to reduce distracting screen flicker to let you play in comfort. 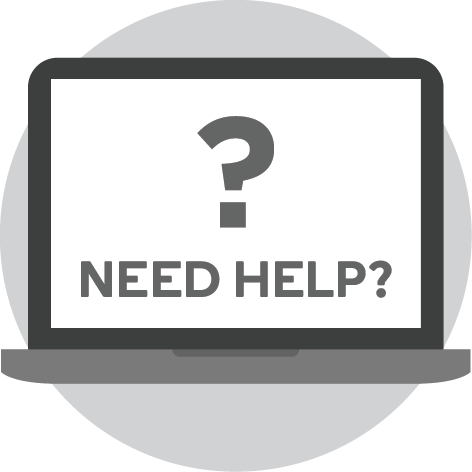 So, play on with minimal eyestrain and great visual comfort.